How to reset AOL password without a phone number and email? You can’t change the AOL password via the mobile app. You need to log in from web-browser of mobile or laptop/PC. Log in with AOL email account from web-browser. In AOL home page, click on your name. Open ‘Change password’ under How you sign in. AOL may ask you to prove you are human. In password change page enter a new password for AOL and confirm it. You tick the show password option to view password as you type. Click Continue and your password change process is complete. You can edit your account recovery information after changing the password. You can also add another email or phone number. You’ve to enter your new password across all of your devices. Change AOL password if one the condition is true for you. You haven’t changed AOL password in a long time. You’ve recently signed in from untrusted or public device. There are suspicious activities in your AOL account. You’ve weak password, and it’s easy for others to guess. Multiple accounts have the same password. Don’t worry even if you forgot AOL password. 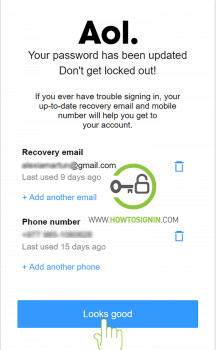 Password reset process is easy if you can access to recovery phone or email. You can also recover the password using security question. The easiest way to reset password is by using the phone number. You just need to use verification code. Visit login.aol.com from a web browser. You can also go to AOL home page and click Login/join. Type your AOL email address which you want to reset. A text will arrive on your phone with AOL verification code. Enter the code and click ‘Verify‘. If you don’t receive the code, select the option Resend. With successful verification, you’re logged in to your account. You can continue or create a new password. If you choose to create a new AOL password, you need to create a password which you are not using in other accounts. It should be at least eight characters long and a mix of number, alphabets and special characters. Reset process is complete. AOL will ask you to add or update recovery info. 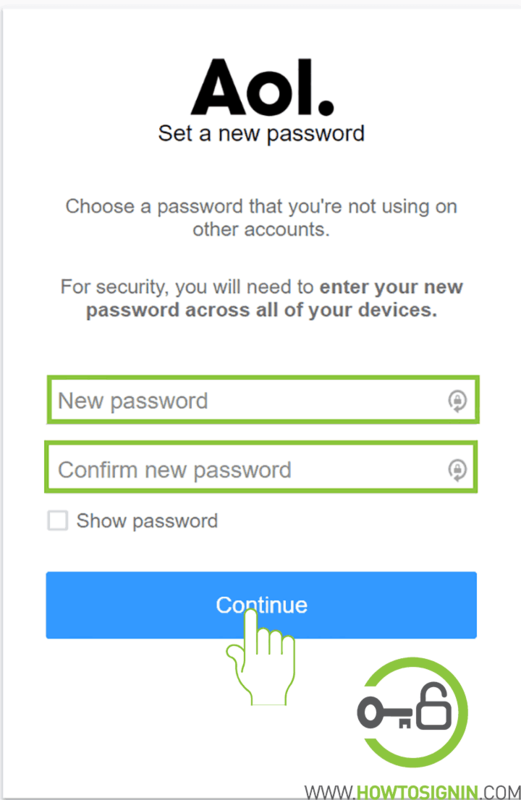 It will also show you logged in device. If you see any unknown device, remove it from the list. You can reset AOL password without a phone number. You can only use this method if you’ve added recovery email address to your AOL account. 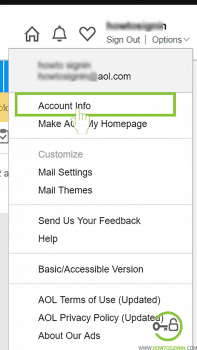 Provide the AOL mail account you want to reset. When the page ask ‘Do you have access to this email?’ Yes, send me a verification code. It’ll show you a partial email address, make sure you’ve access to that email account. 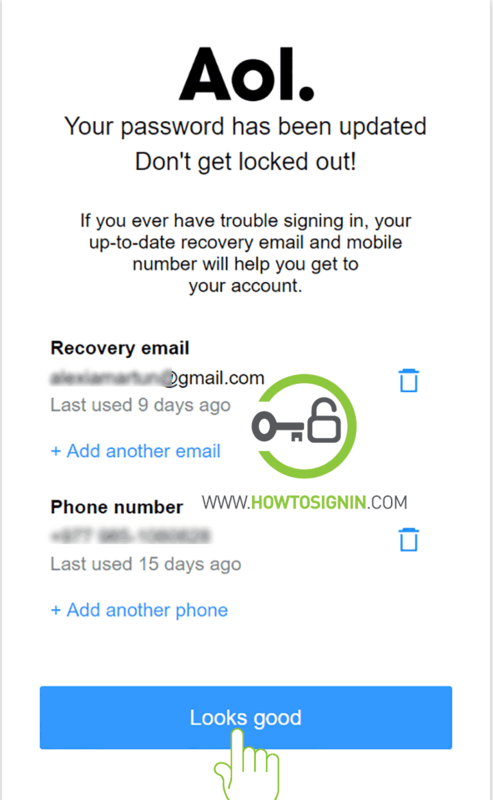 You’ll get a security code in your recovery email address. Enter the code to verify your email. If you don’t receive it, check in spam or other folders of your inbox. Hit ‘Resend’ if you don’t get the code. After successful authentication, you’re signed into AOL account. You can continue, with or without creating a new password. You need to repeat the recovery process each time if you don’t create a new password, so suggest to do it. Email to AOL Mail support with your issue https://help.aol.com/email-support. You can call AOL support and ask for password reset.